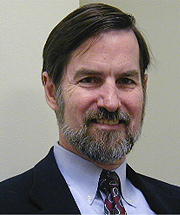 Bill Gaventa, Consultant and Trainer, is currently the Director of the Summer Institute on Theology and Disability and the Director of the Collaborative on Faith and Disability, along with consulting and writing roles. He served as Director of Community and Congregational Supports at the Elizabeth M. Boggs Center on Developmental Disabilities, and Associate Professor, Pediatrics, Robert Wood Johnson Medical School until June 30, 2013. He now lives in Waco, Texas. Bill has served in a variety of professional and volunteer roles. Before coming to New Jersey, he was Coordinator of Family Support for the Georgia Developmental Disabilities Council. He moved to Georgia from New York, where he served as Chaplain and Coordinator of Religious Services for the Monroe Developmental Center. He is a graduate of Stetson University in Florida and Union Theological Seminary, New York City. As writer and author, he served as Editor of the Journal of Religion Disability, and Health from 1996-2010. Past roles have also included editing the newsletter for the Religion and Spirituality Division of AAIDD, adviser for the Spiritual and Religious Supports Series-Exceptional Parent Magazine, and a columnist for Insight, the national newsletter of the Arc USA. Writings include journal articles, book chapters, monographs, resource collections, booklets, and four edited books. In volunteer roles, Bill served as Executive Secretary for the Religion and Spirituality Division of the AAIDD (American Association of Intellectual and Developmental Disabilities) until 2010. He received the Service Award and a Presidential Award from the AAIDD (formerly AAMR), the COMISS Medal from the Congress on Ministries in Specialized Settings (2008) and a Special Recognition Award from the Association of University Centers on Disability. He has also received Outstanding Alumni Awards from his two alma maters, Stetson University and Union Theological Seminary. He is currently President Elect of the AAIDD and will serve as President, 2016-2017. Bill Gaventa is married. His wife, Beverly, is Distinguished Professor of New Testament Interpretation at Baylor University. His son and daughter-in-law, Matthew and Sarah, and their new son Charlie live near Charlottesville, Virginia where both are clergy. Bill's interests include diversity issues and resources as related disability, culture, and spirituality, cultural brokering, inter-faith dialogue about disability, community building, and spiritual supports. Collaborative on Faith and Disability: http://faithanddisability.org.